According to the latest Post Office Travel Money City Costs Barometer, the weakening of the pound has caused prices to rise in 80% of cities in Europe. The study found that Lisbon is currently the cheapest city in Western Europe, based on a weekend break and including costs for local transport, sightseeing, meals and drinks, and two nights' three-star accommodation (£135). 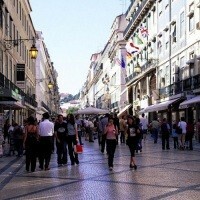 Lisbon has now overtaken Athens (£149), partly due to a fall in hotel prices in the Portuguese capital. The other cities in the top 10 list are all in Eastern Europe, with Warsaw in Poland leading the pack at £113, followed by Vilnius in Lithuania, Budapest at £123, Riga in Latvia at £132, Krakow at £133 and Dubrovnik in Croatia at £137. Read our tips for enjoying city breaks with kids and see also our family city breaks guide and our hand-picked recommendations for short breaks with kids.